Architect Lorin Hill and associates emphasize pragmatic and creative design solutions to variety of design opportunities throughout the greater San Francisco Bay Area. Every project presents its own unique challenges, and we find something compelling in every project, no matter what size. Excellent design only reaches its full potential if it can be effectively translated into a completed construction project that meets scheduling and budget goals. We promote a pro-active approach aimed at achieving and maintaining good "chemistry" among all players in the process: the client, the design team, and the contractor. Our particular strengths include responsiveness, thoroughness, communication and flexibility. We provide a continuum of services that take a project from the broad overview (a master plan) to the specifics of construction detailing and specifications, with active involvement in the construction process. We are committed to environmentally sustainable practices in our work and often incorporate the Build-it-Green GreenPoints Rating System into our projects. First and foremost, the renovation of existing structures minimizes the waste of resources. We promote the use of locally-sourced, renewable and recycled building materials as well as building systems and site design that favor water and energy conservation. Improved indoor air quality and the reduction of contaminants contribute to healthier living environments. Our primary focus is residential projects, with an emphasis on high-quality design and creative, pragmatic solutions. Much of our work involves the comprehensive renovation and expansion of existing homes. We draw upon the inherent strengths of a building to produce improved living spaces, healthier environments, and added real estate value. Other project types include commercial tenant improvements and mixed-use developments. 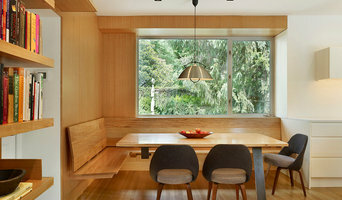 We describe our style as “nature-inspired modernism,” and we strive for elegant, simple solutions in our work. 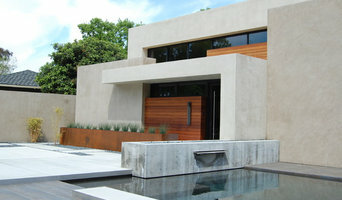 Craig O’Connell Architecture will skillfully guide your vision from design to build. We are rooted in the design-build philosophy that construction and architecture must work together harmoniously. We partner with talented and experienced builders to ensure that our design concepts are accurately and efficiently transformed into well-built, clean and balanced structures. 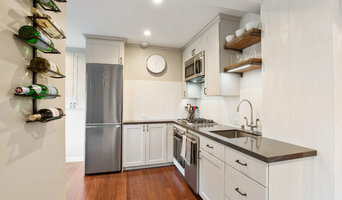 We specialize in remodels, renovations, new construction, commercial building, and civic projects. Our capabilities include conceptual design, architectural drawing, design-build services, interior design, 3D visualization and rendering, Revit Building Information Modeling (BIM), structural engineering, construction management, project management and owner representation. Our unique process allows us to create high-quality spaces that fit your style and budget. J D Allen-Young, Architect is a client focused architectural design and consulting service. Projects range from small residential and commercial renovations to consulting on large scale projects. I help homeowners improve their living environment and create a home they will love for years to come. Founded in 1993 by Ralph Strauss, SDG Architects is a full service architecture and planning firm dedicated to providing creative solutions to our Clients throughout California and the Western United States. At SDG, our mission remains the same on every project we undertake: we strive to meet the architectural needs of our Clients through creative, technology-based design practices, time-sensitive and cost-effective execution, and unparalleled quality and service. With a wide-ranging portfolio and a staff of highly qualified architects and CADD technicians, SDG brings a wealth of experience and practical knowledge to architectural and land planning projects. Please contact us directly to discuss your upcoming project or to learn more about our work. Winner of Best of Houzz 2017 Design Award Your home isn’t architectural theory. It’s an intimate space that reflects and revives you. Anne Fougeron FAIA creates humane, modern homes filled with light, comfort, and unique design solutions that delight homeowners, conserve resources, and win awards. Her signature approach is collaborative and personal. Fougeron starts with a keen understanding of the problems you want to solve and the amenities you want to enjoy in your home – whether new construction or a remodel. Honoring your budget, she then applies imagination, craft and design expertise to make your residence both striking and livable. Her nationally renowned work features: Vivid Light Fougeron loves to explore the way natural light affects our sense of space and well-being. Through the play of light in a home, she integrates inside and outside and creates visually dynamic spaces with transparent, translucent, and reflective materials. Smart Green Green design goes hand-in-hand with making environments attractive and pleasant to inhabit. Using both natural, renewable materials and energy-efficient, technologically advanced ones, Fougeron makes homes that use resources economically and imaginatively. Affordable Craft Fougeron applies her deep knowledge of materials and construction to homes for every income level. Known for her excellence in design and craftsmanship, she enlivens each space with a unique range of colors, textures, and material types – always within budget. A San Francisco-based atelier firm, Fougeron Architecture is expert in expediting projects through all phases of design, approval, and construction. Founder and principal Anne Fougeron is personally involved in all projects from inception and through occupancy. 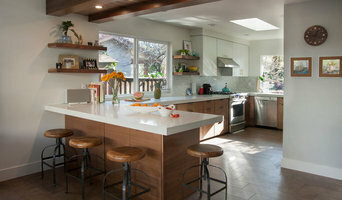 The South Bay's Sustainable Architect, Best of Houzz 2018! 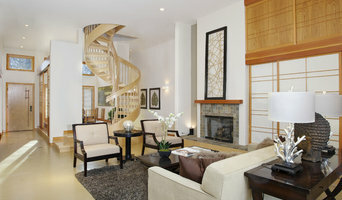 Spectrum Interior Design delivers the full spectrum of design solutions for fine living. We specialize in high-end new custom homes, speculative estates, vacations properties and yachts spanning the Silicon Valley and greater Bay Area. Our transitional and traditional interiors reflect understated elegance and filter a fresh perspective over classic design. Signature color palettes by Spectrum Interior Design are inviting, timeless and sophisticated.